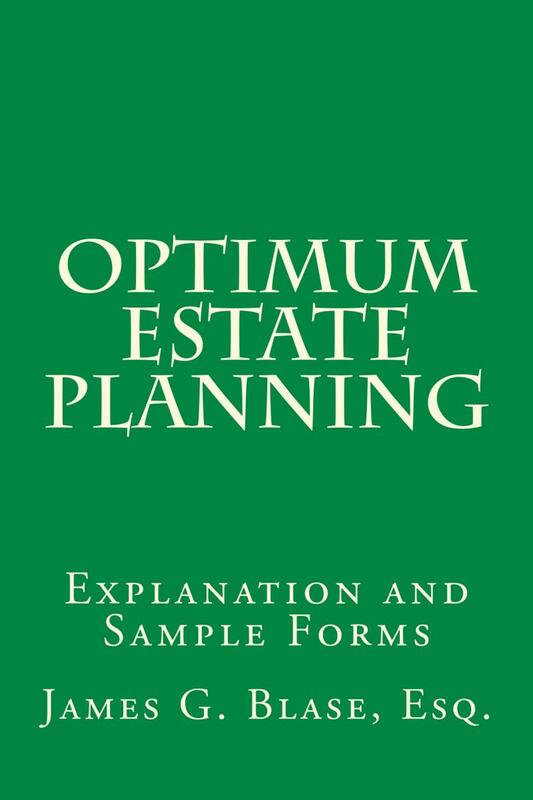 "Optimum Estate Planning is all about minimizing taxes without giving up control or subjecting assets to the claims of potential creditors and other predators. In this book Mr. Blase, a 37-year experienced estate planning attorney and frequent author and speaker, explores the parameters of optimum estate planning as they apply to planning for married couples, planning for children and other non-spouse beneficiaries, planning for retirement benefits, planning for business owners and professionals, and lifetime gift planning." The hard copy of the book is available for purchase on Amazon. Clients of the firm receive the eBook version of the book for free. Click here to "look inside the book" for free, on Amazon.